18 players with tracked record were invited to the first Eurotalents development camp of 2017 under the auspices of ETTU. The Eurotalents project aims at talent identification and selection within Europe and is working with 18 young players from 11 countries to a training camp and tournament from 12 to 19 March. After careful consideration and exhaustive analyses by coaching experts Istvan Korpa, Joze Urh and Neven Cegnar, seven players were selected in October 2016 to be part of the ETTU Eurotalents Development U-15 project in 2017, joining the players selected in 2014 and 2015. 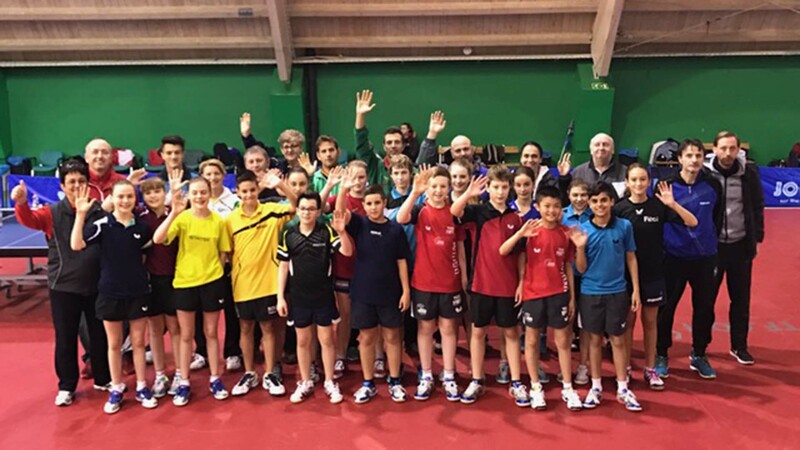 A call up for the Eurotalents training camp sets the wheels in motion for these enthusiastic European players, allowing them to further build a pathway towards success. Jože Urh, national coach and Head coach of the Slovenian Training center is leading the team of coaches formed by Vesna Drnovšek, Andreja Ojsteršek Urh, Mate Lejo and Neven Cegnar (ETTU).